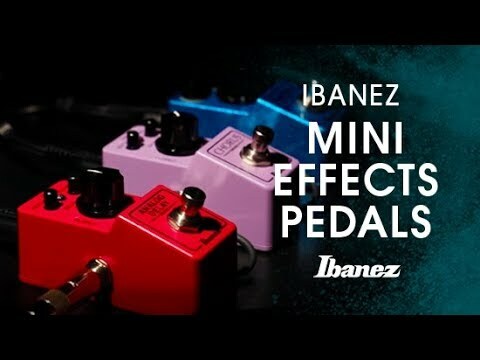 Ibanez is proud to announce the new MINI pedal family. Ibanez ADMINI features two smaller knobs for Repeat and Blend, and a significantly larger Delay Time knob in the middle. The range of delay time is 20ms to 600ms. True bypass switching provides the shortest, most direct signal path, as well as the cleanest tone. 100% Analog Circuitry allows for the warmth of tone that players desire from analog delays. With the ADMINI, enjoy a warm, classic, and exceptionally clean delay, all while saving some space on your pedal board.